I get the reasoning behind this move, as it makes sense on a few different levels. We’ve heard plenty about how the Bulls wanted to trade up because they didn’t want to have two rooking contracts on the books as they clear space to try to bring in Carmelo Anthony, and making this trade certainly accomplished that. We also know that what the Bulls could use is an outside shooter, and if there’s anything that Doug McDermott is, it’s a shooter. I mean, seriously, the kid can shoot the absolute hell out of the ball. 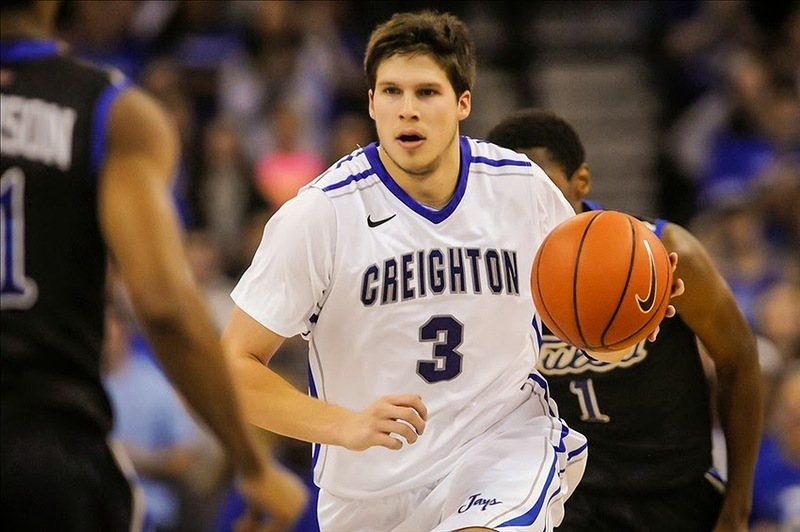 In his four years at Creighton McDermott shot 55% from the floor and 46% from three while averaging 21.7 points per game. He never shot lower than 52.5% overall or 40.5% from three in any single season. The dude has the stroke. That Kyle Korver stroke. My concern with McDermott is I just don’t know how his game is going to translate to the NBA. He’s a great shooter, but I don’t consider him a good enough ball handler to ever be able to beat NBA defenders off the dribble, and he’s not exactly an A+ defender. Though Tom Thibodeau can make just about anybody look good on defense. The other problem is that I have no idea where McDermott is going to play. He’s not big enough to play power forward, and there’s no way he’s guarding opposing small forwards without the Bulls getting burned often. So while McDermott is a player I loved in college, I’m just not sold on him as an NBA player. The good news is that his shooting will translate to the professional game, so I guess we’ll just have to hope that McDermott’s barrage of buckets will offset his shortcomings. He may turn out to be a steal, or he may turn out to be a guy that sits on the bench that Thibodeau doesn’t trust to put out there no matter how many threes he can make. We’ll just have to wait and see. This entry was posted in Chicago Bulls and tagged Doug McDermott, NBA Draft, Tom Thibodeau by Tom Fornelli. Bookmark the permalink.